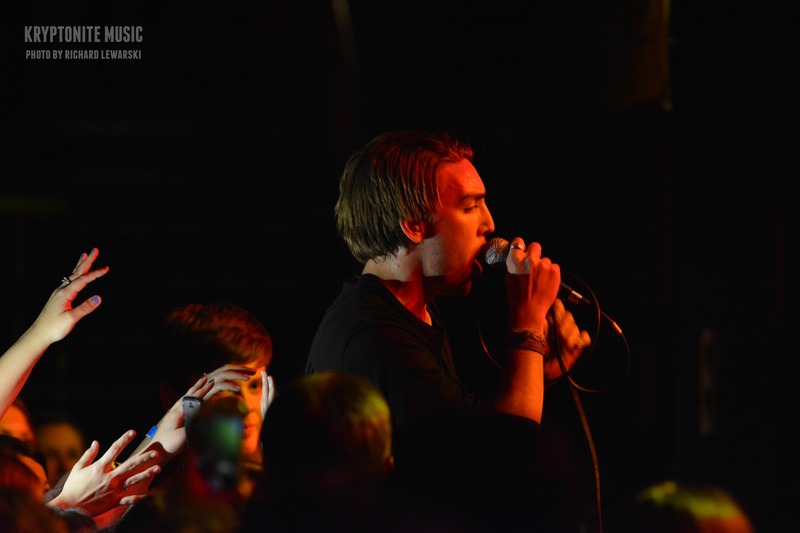 Last night Victoria and I ventured out into this cold, snowy tundra of a city to see New Politics with Bad Suns and SomeKindaWonderful — each of whom had their own distinctive style, sound, and presence on stage which, in my opinion, is what made las night’s concert so lively and exciting to watch. SomeKindaWonderful, an alternative band from Cleveland, took the stage for a short but sweet set that in my opinion left the crowd wanting more. When the band first came on stage, I honestly didn’t know what to expect because I wasn’t too familiar with their music prior to the show, but as their set progressed I found myself intrigued by SomeKindaWonderful’s sound. To say that SomeKindaWonderful is alternative would definitely be correct because at the end of the day they are alternative — they have an alternative, different sound compared to what other bands produce. 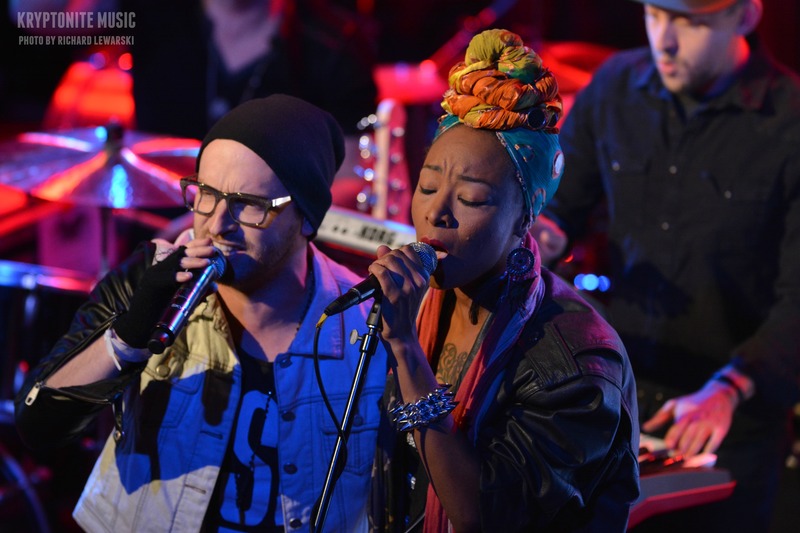 The band takes the best of pretty much every genre to create their own. They combine the electric keyboard that highlights traces of pop, evident guitar riffs that showcase rock, the layering of deep, rich, female vocals that give the music an almost soul-like feel, and even sporadic hip-hop verses to shake things up. Watching SomeKindaWonderful perform was truly a unique experience because I can’t recall one song that ever sounded quite like the next — the band’s element of surprise kept me on my feet quite literally throughout the entire set — that and the fact that their electric energy was contagious didn’t hurt too much either. Before I say anything about Bad Suns, I have to say that I saw them over the summer at The Grog Shop and was extremely underwhelmed. I thought their vocals were shaky, out of tune, and in conjunction with their awkward stage presence I ended up leaving the show early. I want to make it abundantly clear that Bad Suns has tremendously improved since the last time I saw them — I’m not sure if they were just having an off night over the summer or if their auto tune wasn’t on, but for whatever reason, tonight they did not put the bad in Bad Suns. Most people know the Los Angeles pop band for “Cardiac Arrest” and “Transpose”, but I honestly enjoyed their performance of their lesser known songs the most. “Cardiac Arrest” and “Transpose” both feature vocals that jump from octave to octave which can sometimes be hard to perform if you don’t hit the notes right on tune, so I don’t blame Christo, the band’s lead vocalist, for not performing these songs as strongly as the others. For the most part, Christo had a strong, rich, deep voice throughout the set which, when combined with his dance moves, black nail polish, and slicked back hair, made the girls go crazy. I was nearly trampled when he jumped off stage and into the crowd, so if you ever are in a near death experience at a concert like I was tonight, it’s probably a sign that the band has loyal fans and good music to deliver to them. After SomeKindaWonderful’s distinctive sound and Bad Suns charismatic energy, I was not expecting a third completely different and unique band to take the stage. Yes, I knew New Politics tends to go crazy at shows, but I had no idea crazy would be defined as break dancing and back flips. 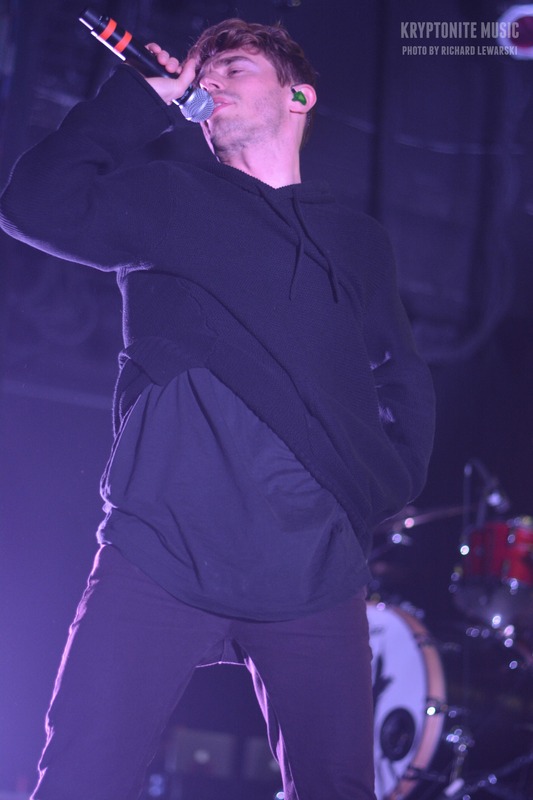 A lot of bands tend to dance and move around stage, but David Boyd, the band’s lead vocalist, would sporadically put the mic down, break dance, and then proceed to carry on with the song as if nothing had happened. 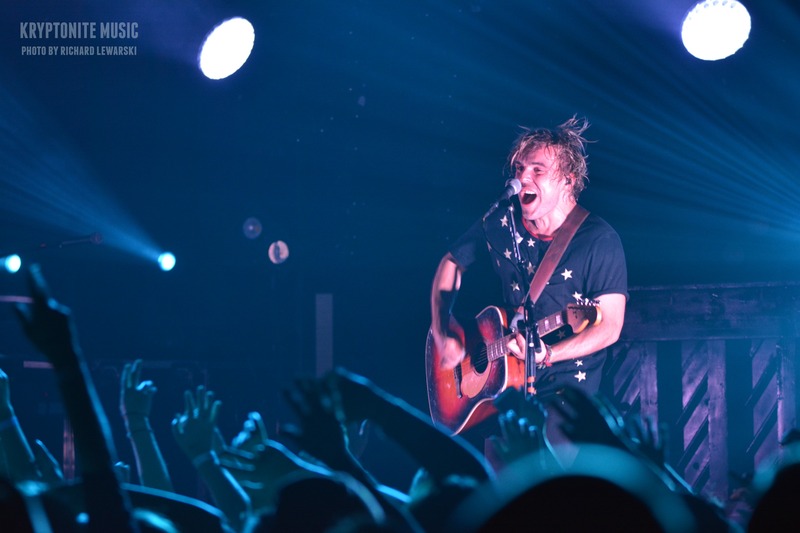 He was never winded, his voice was never shaky, and he never even broke a sweat — essentially this means that David Boyd is a God. Aside from the incredibly energetic, dynamic, and insane performance that New Politics put on, the music itself was on point. The band sounded as good live as they do recorded and they did a great job of including the best songs from all of their albums — they even showcased a few songs from their upcoming album, Vikings, which will be released in February (it’s going to be phenomenal so start counting down the days until its release). All in all, last night’s show was just all around fantastic. It made me realize that a band can’t simply be defined by their music. Their unique performance style and the inclusion of a hallmark trait is just as important as the way they sound. I will always remember New Politics as the band that break dances, and that memory, my friends, will not be fading any time soon. 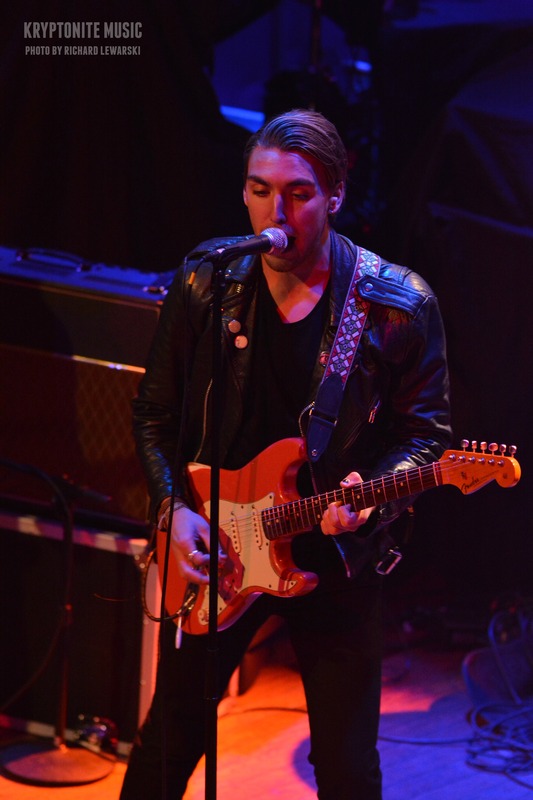 This entry was posted in Concert Reviews, Uncategorized and tagged alt, alternative, Bad Suns, band, bands, blue grass, break dance, break dancing, Christo Bowman, cleveland concert, concerts, David Boyd, denmark, hip hop, hob, House of Blues, House of Blues Cleveland, los angeles, music, New Politics, pop, pop punk, rap, rock, SomaKindaWonderful, soul. Bookmark the permalink.